The Palestinians and other powers such as the OIC, the UN and domestic interest groups do not get a veto over reality. If we are going to "reset" the Middle East, we need to reset our thinking as well, starting with accepting that Israel has a right to exist. Israel exists, and Israel has a legitimate claim to Jerusalem. Further, the Jewish people have proven themselves as more capable custodians of Jerusalem than their Muslim neighbors, who are already burdened by challenges in their own territory. Alongside us, the world must drive out the fantasy that Jerusalem is not Israel's capital. Jerusalem is the heart and soul of Israel. To deny Jerusalem as a part of Jewish and Israeli identity is the same as denying Mecca as inherent to Muslim identity. The most iconic moment of President Donald Trump's visit to the Middle East was not his "speech on Islam"; it was his visit to the Western Wall in Jerusalem. 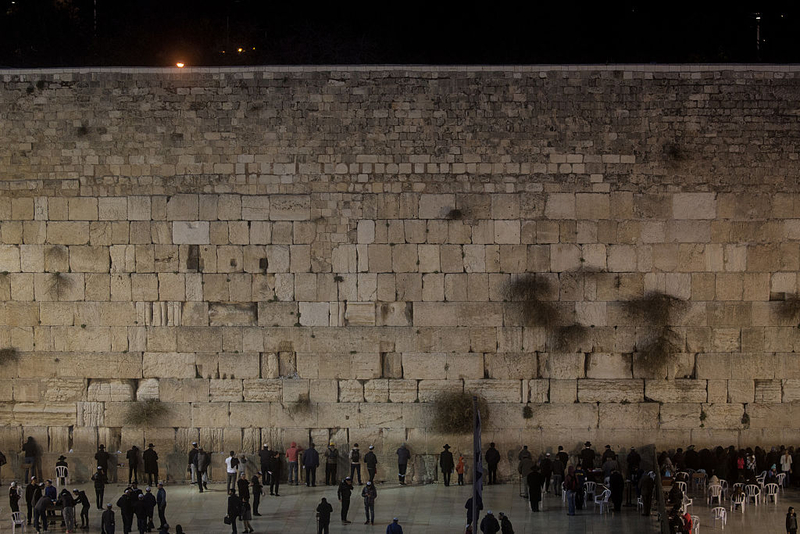 The Western Wall is a contested space, and that controversy has bled outside Israel's borders. U.S. Secretary of State Rex Tillerson recently reignited the debate, mentioning the Wall as being in "Jerusalem", instead of in Israel. It is a play on language often used to deny Israeli sovereignty over a space that clearly belongs to the Jewish people, as the U.S. Ambassador to the United Nations, Nikki Haley, quickly rectified in response. How we talk about religion matters. If we want to be effective in moving forward, it is important to be truthful. The truth is that Israel won the Six Day War, thereby liberating eastern Jerusalem from Jordan, which had seized it illegally when it attacked Israel in 1948-49 and expelled all Jews from eastern Jerusalem. Israel has earned the right to reclaim Jerusalem fully. This also means that the Palestinians and other powers such as the Organisation of Islamic Cooperation (OIC), the UN and domestic interest groups do not get a veto over reality. If the new foreign policy standard is to work together to combat destructive forces, then it is also important to recognize that it is destructive to start a discussion from positions of falsehoods. If we are going to "reset" the Middle East, we need to reset our thinking as well, starting with accepting that Israel has a right to exist. That includes confronting calls for the annihilation of the Jewish people, and contesting the dishonest re-imagining of borders that quite literally erase Israel from the map. Israel exists, and Israel has a legitimate claim to Jerusalem. Further, the Jewish people have proven themselves as more capable custodians of Jerusalem than their Muslim neighbors, who are already burdened by challenges in their own territory. The world also needs to stop aiding the Palestinians in believing they have not lost the war. For the Palestinian people to build a vibrant society of their own, the world needs to abandon the collection of fantasies it has allowed the Palestinians to keep. There is no "right of return" and the dismantling of all settlements is not possible, especially if the entire state of Israel is regarded by many as one big settlement. Then there is the issue of Temple Mount in Jerusalem. Muslim devotion to the Temple Mount stems from a story in which the Islamic Prophet Muhammad is said to have dreamt traveling from Mecca to Jerusalem to the Heavens beyond space and time (and back) all in one night. The tale of the night ascent is a spiritual journey with only brief mention in the Quran, while second-hand sources in hadiths colored in the rest of the story years after the prophet's death. The Temple Mount rests on historically Jewish territory. It is a generosity to allow it to remain under Muslim control, especially when the claim to the territory is based on a dream the Quran touches on only briefly. Typically, a dream does not secure land rights (even in centuries prior). A person cannot reasonably expect to get a key and deed to another person's home simply because they dreamed they visited it. It is an absurd claim. Critical Muslim thinkers drive out fantasies from our faith. Alongside us, the world must drive out the fantasy that Jerusalem is not Israel's capital. Jerusalem is the heart and soul of Israel. To deny Jerusalem as a part of Jewish and Israeli identity is the same as denying Mecca as inherent to Muslim identity. Finally, the world must drive out the belief that Palestinians do not have to make peace with Israel. It is abusive and counter to the interests of a future thriving Palestinian society to indulge in a warring fantasy that Israel can be destroyed. Instead of fetishizing the destruction of Israel, Palestinians would truly improve their lives if they started working to rebuild their own society rather than take on additional territory that could be governed or cared for with the respect and sanctity for history that Jerusalem deserves. Palestinians would be better served addressing bedrock issues in their own society, including holding their people accountable for the hate indoctrinated into the hearts and minds of every Palestinian as soon as they learn to walk and talk. Stop financially supporting families of terrorists. Stop calling terrorists martyrs. Stop sacrificing your children and celebrating their deaths. 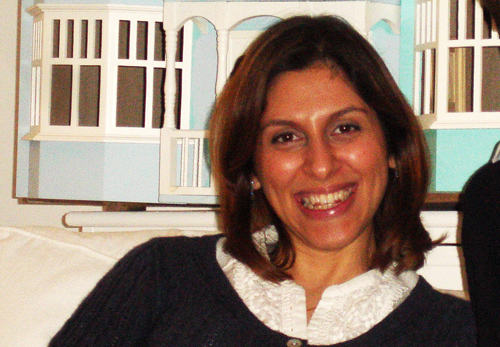 Shireen Qudosi is the Director of Muslim Matters, at America Matters. Follow her on Twitter @ShireenQudosi. Israel, Christians and especially Jews must come to the realization that there is a difference between Communism's 'political correctness' and factually correct grounded, reason, logic based truth. The entire fabricated antisemitic ahistorical "Palestinian" agenda must be crushed. How could there be a "Palestinian" people when there has never been a country, state or nation of Palestine - a Roman province turned region - throughout this Earth's history? There is no mention within the Jew's Bible, the New Testament or the Islamite's Qur'an. Seems logical that had Moses, Jesus or Muhammad known any, they'd have mentioned them. The didn't. An entire anti-Semitic ahistoric fabricated lie with only one goal, to carry out the agenda within both Communism and Islam - Wipe Out Israel and the Jew. Judea was the last internationally recognized nation/state/kingdom to exist on those lands: Judea: Judean: Jew. Israel must become a "Light Among Nations" and CRUSH the myth of the "Palestinian" People, tell the truth that Islam is a Cancer entirely combative toward, intolerant of and contradictory to everything the West - especially Jews Israel - was founded and holds dear....AND drive out all of their Muhammadan, so called "Palestinian People" community to the "East Bank" (from the first failed "Two State Solution") Jordan or any of the over 50, once non, Islamic countries of their choosing. Jews in Israel, become Jewish and throw out your Muslims! Jerusalem, the capital of Judaism, doesn't exist since Camp David (1979) but since King David, more than 3000 years ago. "Palestinians" were invented by the Arabs as a war tool against Israel. Today they have become a liability to those same Arabs who look for cooperation with Israel but are afraid of their own indoctrinated masses. Destroying the fantasy requires either a changing of the minds, or destroying the people and organizations that created it, and maintain it -- the imams who preach it, the schools and universities that teach it, the news industry that keeps it foremost in the public eye, the terrorist organizations that rule over the Palestinians, and the various governments and other interests that promote and fund it. The fantasy has taken on a life of its own, and so many people depend on it for their livelihood and power, that they will never give it up, regardless of whether they believe it. This will not be ended without a violent overthrow of the terrorist gangs that rule, and suppressing the indoctrination and propaganda that keeps it alive. For this to happen, either the Israelis, or the Jordanians, Egyptians, or someone is going to have to occupy these territories, provide an enlightened rule with a high degree of freedom and economic opportunity, and kill off the terrorists (and the major propagandists). There is no easy, or peaceful way out of this -- it's been allowed to go too far for that. One more destructive fantasy is that they are Palestinian. No they are Arabs. They are Arabs occupying a part of Eretz Israel given name Palestine. Palestine is a word that Arabs can't even pronounce correctly because it is Roman and there is no "P" in the Arab alphabet. When Eretz Israel given name Palestine was under British mandate for the establishment of a Jewish homeland the Arab population identified itself as Syrian, according to the minutes of the British High Commissioner. Jordan, part of the British mandate for the establishment of a Jewish homeland in Palestine, did not comply to that obligation but occupied illegally Jerusalem for 19 years vandalizing 3000 years of Jewish history in Jerusalem. By refusing the immigration of Jewish refugees in 1940 they are co-responsible for the slaughter of 6000000 Jews. Thank you so much Miss Shireen Qudosi for your beautiful AND TRUTHFUL article. I do not have much to add to it except--- FROM YOUR MOUTH TO GOD'S EARS. Israel has always been a Jewish state, and no matter what the rest of the world says, including it's many Antisemites, say --- Israel will remain a Jewish State, and Jerusalem --- all of Jerusalem, will remain it's capital. AMEN. Thanks again Miss Qudosi and Gatestone. I'd go so far as to say that Israel winning the 1967 6 day war induced Anwar Sadat, Shahpour Bakhtiar & Bachir Gemayal to initiate the reforms that were stymied by their murderers. Ergo, there is work to be done, & a reunified Jerusalem is at the heart of this profoundly needed momentum to accomplish what needs to be done. For, even though there is Israel outside of Jerusalem, the lion's share of Israel's identity is found in the capital chosen by King David. What an impressive article, written on the eve of the liberation of Jerusalem from Jordan's illegal occupation fifty years ago. Jerusalem is mentioned literally hundreds of times in the Jewish scriptures (ie the Old Testament) going back to the time of Abraham. It is not mentioned at all in the Koran. Despite the lack of evidence, somehow the world has been duped into believing that it is the third holiest city of Islam, whereas for Jews of all persuasions it is the most holy city in the world. What if Islam were to claim that London or New York was their fourth holiest city? Would the UN rush to condemn the UK or US governments for "occupying " them? Thankfully successive governments in Israel have stood firm in insisting that Israel will never allow Jerusalem to be divided again. The West would not support a claim by Russia to retake East Berlin, so why should there be any question of re-dividing Jerusalem? As Shireen has commented, the city's holy places have been much better cared for than when they were controlled by Muslim regimes. Those who deny the validity of Israel's claim to Jerusalem demonstrate their ignorance of history and their innate antisemitism. Excellent article. Today the media is constantly creating fantasies and many people buy them as truths. Moshe Dayan would not allow the conquering soldiers to place the Israeli Flag on the Temple Mount during the 6-Day War. How can America and the world recognize Jerusalem and J+S as a part of Israel as long as cowards such as Israel's own PMs do not claim sovereignty? All of these PMs including Netanyahu are afraid for petty reasons to claim sovereignty included their leftwing concept of democracy which they think does not allow them NOT to include Arab refugees living in J+S as Israel's citizens which of course they cannot do. Israel has the right to expel those Arabs whom Jordan had given citizenship back to Jordan and needs no one's permission to do this. The story of Mohammad's night journey to Jerusalem is even more undermined when you learn that the Hadiths claim he went to 'the far mosque', because there were no mosques in Jerusalem while Mohammad was alive. Many Islamic scholars believe 'the far mosque' was in Medina, not Jerusalem which is not mentioned in the Koran.